Home / Unlabelled / GH’s BIGGEST COMEDY NIGHT RETURNS WITH BOVI! Charterhouse Productions, if for nothing at all, for their solid resolve and hard work over the last 13 years in ensuring that come what may, we laugh the year away! 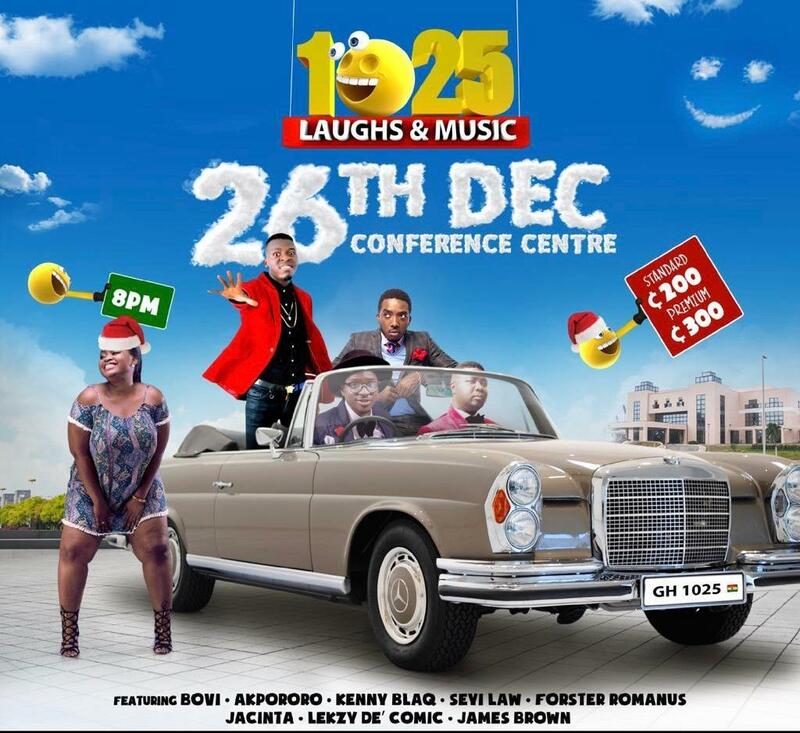 It was a laughter party at the Accra International Conference Centre on Boxing Day December 26th 2017 when Africa’s best comedian, Basket Mouth led an elite team of comedians from both Ghana and Nigeria including Acapella, Akpororo, Jacinta, Forster Romanus and others to thrill fans at the funniest night of the year, the Night of 1024 laughs & Music. 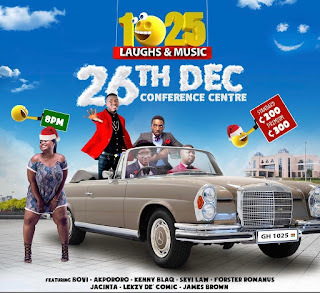 Undoubtedly it was a great night that left many wanting more from the solid team of comedians with music from Kidi and Kuami Eugene.